Teresa Urrea (Niña de Cabora, Santa Teresa, Teresita, La Santa). Image available on the Internet and included in accordance with Title 17 U.S.C. Section 107. URREA, TERESA (1873–1906). Teresa Urrea (Niña de Cabora, Santa Teresa, Teresita, La Santa), healer and political figure, was born Niña García Noña María Rebecca Chávez on October 15, 1873, in Rancho de Santana, Ocoroni, Sinaloa, Mexico, the illegitimate daughter of Tomás Urrea and Cayetana Chávez. Her father was a well-to-do rancher and political liberal; her mother, a Tehueco Indian in the employ of Don Tomás, was only fourteen when she had Teresa. Accounts of Teresa's childhood differ somewhat, but she apparently attended school briefly at age nine and learned to read. An old Indian woman named María Sonora, who is said to have been a curandera, taught Teresa about curing various ailments with herbs (see CURANDERISMO). In 1880 Urrea moved his family to Cabora, Sonora, in order to escape political reprisals from the dictator Porfirio Díaz. During her first few months at Cabora, Teresa fell into a cataleptic state that lasted three months and eighteen days. After recovering she began performing healings by laying her hands on the sick and disabled. Word of miraculous cures spread rapidly, and within a short time thousands of pilgrims made the journey to Cabora. Many of those seeking relief for their ailments were poor Indians, and Teresa, who asked no money to perform healings, became a symbol of hope for the downtrodden. Her simple message of justice inspired a series of rebellions in 1891, the best known of which was an uprising of Tarahumara Indians in the village of Tomochi. Although no direct evidence has been uncovered implicating either Teresa or her father in the rebellions, Díaz ordered the two deported in 1892. They lived briefly in Nogales, Arizona, before settling in nearby El Bosque, which became a mecca for thousands seeking cures. Among those who came were also a number of political revolutionaries, and Nogales and El Bosque became centers for forces plotting the overthrow of the Díaz government. In 1895 the family moved again, to Solomonville, Arizona, but remained there only eight months before moving to El Paso, Texas. Photograph of Teresa (Teresita) Urrea. Courtesy of Special Collections at the University of Texas at El Paso Library System. Image available on the Internet and included in accordance with Title 17 U.S.C. Section 107. On August 12, 1896, a month after the family arrived, a group of sixty to seventy exiled Yaqui and Tomochi Indians, calling themselves "Teresitas," stormed the Mexican customhouse at Nogales. The Díaz government blamed the attack on Teresa, and the Mexican ambassador to the United States demanded her extradition. 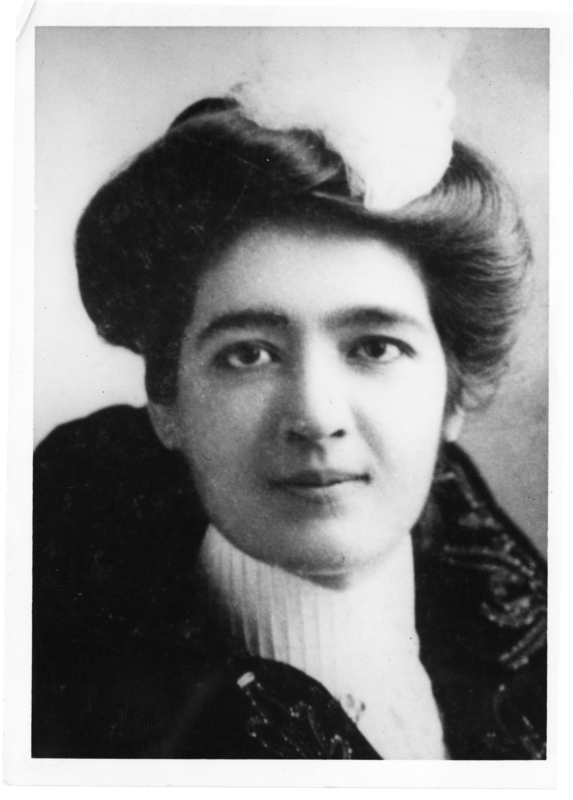 Teresa published a statement in the El Paso Herald on September 11, 1896, denying any involvement in the incident. After surviving at least three different assassination attempts, Teresa moved with her father to Clifton, Arizona, away from the volatile border area. On June 22, 1900, she married Guadalupe Rodríguez, a Yaqui Indian who worked in the copper mines near Clifton. The following morning Rodríguez went on a rampage and was arrested. The court found him insane and sent him to an asylum; the couple were divorced in 1904. Shortly after her marriage, Teresa went to San Francisco. She continued to perform reportedly miraculous cures that were widely reported in the press. Promoters induced her to undertake a tour to a number of large cities, including St. Louis and New York, where she entered and won a beauty contest. After discovering that the promoters had unscrupulously been charging those who came to see her, she terminated her contract, returned to Arizona, and eventually settled in Clifton. During these years she had two children of unknown paternity. She died in Clifton in 1906, apparently of consumption, and is buried there beside her father. Lauro Aguirre, La Santa de Cabora (El Paso: El Progresista, 1902). El Paso Herald, September 11, 1896. Herberto Frías, Tomochic (Mexico City: Bouret, 1911). Mario Gill, Episodios mexicanos: México en la hoguera (Mexico City: Azteca, 1960). William Curry Holden, Teresita (Owings Mills, Maryland: Stemmer House, 1978). William Curry and Frances Mayhugh Holden Collection, Southwest Collection, Texas Tech University. Carlos Larralde, Mexican-American Movements and Leaders (Los Alamitos, California: Hwong, 1976). New York Times, August 14, 19, 20, 1896. Richard and Gloria L. Rodriguez, "Teresa Urrea," El Grito 5 (Summer 1972). Handbook of Texas Online, Frances Mayhugh Holden, "URREA, TERESA," accessed April 21, 2019, http://www.tshaonline.org/handbook/online/articles/fur04.